Now available is the "Tuna Selection" which consists of 2 x Tuna & Sole, 2 x Tuna & Whitebait and 2 x Tuna pouches. Atlantic Tuna (Skipjack) 75%, fish broth 24%, rice 1%. 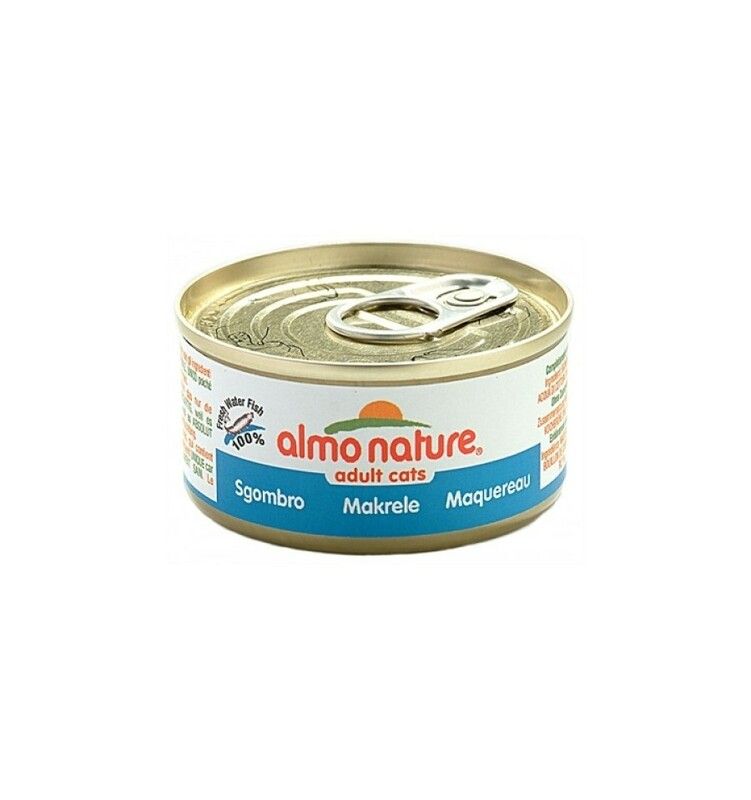 Tuna (Euthynnus affinis) 75%, fish broth 24%, rice 1%. Pacific tuna 75%, fish broth 24%, rice 1%. Fish stock 42%, tuna 25%, chicken 25%, cheese 5%, rice 3%. Tuna 38%, chicken 12%, cooking water 47%, rice 3%. Tuna 50%, fish stock 42%, clams 5%, rice 3%. Tuna 35%, stock 24%, chicken ham 5%, rice 1%. Tuna 55%, fish broth 24%, shrimps 20%, rice 1%. Tuna 50%, fish stock 42%, squid 5%, rice 3%. Tuna 50%, fish stock 42%, sweetcorn 5%, rice 3%. Tuna 50%, fish stock 42%, whitebait 5%, rice 3%. Moisture 80%, crude protein 20%, crude fibres 1%, crude oils and fats 0.5%, crude ash 2%. 742 kcal/kg. Moisture: 78%, raw protein 20%, raw fat 0.5%, raw ash 2%, raw fibre 0.9%, calories Kcal/kg 742. 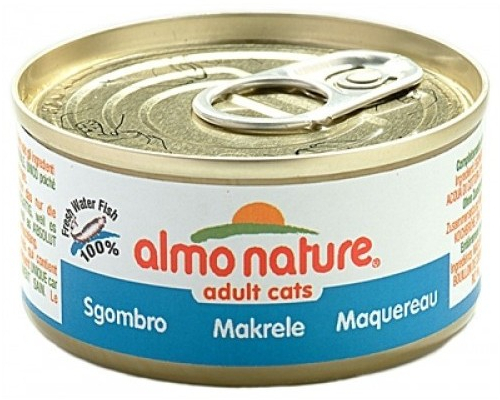 Raw protein 17%, raw fibres 1%, raw fats 2%, raw ash 3%, moisture 75%, calories 765 kcal/kg. Raw protein 13%, raw fibre 0.1%, raw oils and fats 0.1%, raw ash 2%, moisture 83%, calories 463 kcal/kg. Protein 18.0%, fibre 0.1%, ash 2.0%, moisture 79.0%, oil & fats 0.5%, calories 672.0 kcal/kg. Moisture 83%, crude protein 18%, crude fibres 1%, crude oils and fats 0.2%, crude ash 3%, calories 647 kcal/kg. Moisture 78%, crude protein 19%, crude fibres 1%, crude oils and fats 0.5%, crude ash 2%, calories 707 kcal/kg. Protein 18.0%, fibre 0.1%, ash 2.0%, moisture 79.0%, oils & fats 0.5%, calories 672.0 kcal/kg. Protein 16.0%, fibre 0.3%, ash 2.0%, moisture 77.0%, oils & fats 0.5%, calories 742.0 kcal/kg. Moisture 76%, crude protein 20%, crude fibres 1%, crude oils and fats 0.5%, crude ash 2%, calories 742 kcal/kg. 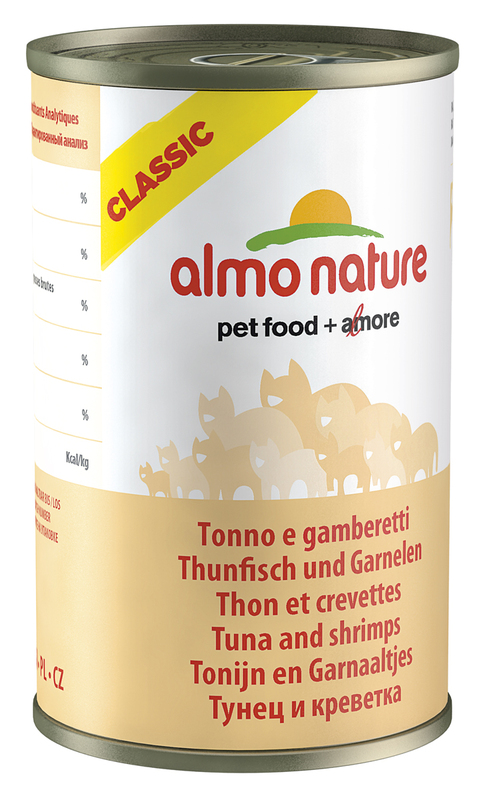 There are currently no questions for Almo Nature Tradition Classic Adult Tuna Cat Food - be the first to ask one!